The way we do marketing and business has changed, that’s obvious, and we have adapted to keep up with trends and customer demands. But just because we change and evolve how we brand and market, does not mean we have to forget the basics of marketing. When a client signs with a marketing company, sometimes they don’t realize all the research and testing dedicated to their particular project. Most of the back end work is not always visible in regards to time and manpower invested. All which has a cost. Marketers need to stay ahead of the game and prepare their clients with realistic expectations. Don’t sell them the world for pennies just to get their business. Many marketers are not able to keep up with the promises they set for their clients due to lack of funds or time, all can be prevented. 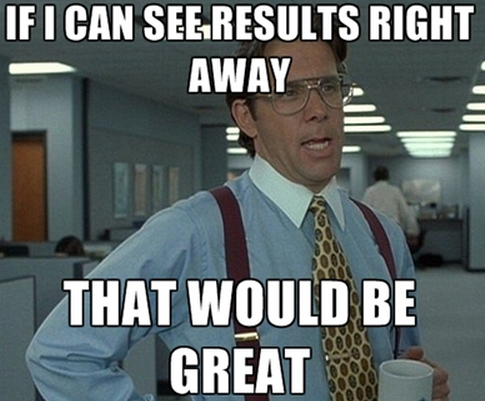 Business owners want results, as marketers we need to show them those “real marketing results”. They need to be updated frequently with what you are working on in order to get the all the credit for your work. Some businesses see results, but still don’t realize that your marketing is the reasoning for their success. Business Management – Are you getting the work done and in time? Whatever business you are in, especially marketing, timing and communication between workers and clients must be coordinated. If a project is due at a specific date it should be completed. If a dead line cannot be met, or something else arose, tell the client and explain the situation. People like honesty and are more flexible if not lied to. Just don’t make it a habit, make sure your business is on top of its game. When a business does not have its priorities straight things tend to be overlooked. The best way to stay on track is using a CRM; we like to use Insightly new, inexpensive and it does exactly what we need it to do. Any task that needs to be done, any client we speak with, and any idea or thought related to a project gets stored under the clients project. This helps everyone in an office know what they need to do and ensures the client’s projects is getting managed correctly. Research and Outreach – Who are you reaching out to? What are you doing as a company for branding? Marketing goals are similar in each niche, and that is to drive relevant traffic to a business that will convert to sales. In marketing, trends and tools are constantly changing and a huge part of the work is finding out what is trending through research. Do the homework, find the right demographic, and cater to them by outreaching and networking with other professionals in that industry. Getting your client involved with their marketing will not only help you learn more about their business, but also make them feel more secure, especially if they want to see how their money is being invested. Just remember they are not your boss don’t let them overstep their boundaries. Do not be afraid to tell them that they are micromanaging your work, as an expert make them respect you. Reporting – What can you show the client? A paying business needs to know at the end of the month what you have done for them and how their money is being utilized. Never be scared to tell the client that the approach you took did not do as expected or that it was a complete fail. Like mentioned before, client’s appreciate honesty and by showing where you have failed you can recalculate, and reevaluate a new strategy to help the business win. Constantly reporting and keeping them in the loop will help them feel satisfied with your marketing service. The bottom line is that all companies are looking for a return on their investment, regardless of what type of marketing they do. Businesses pay for web and non-web related marketing with expectations of high ROI. 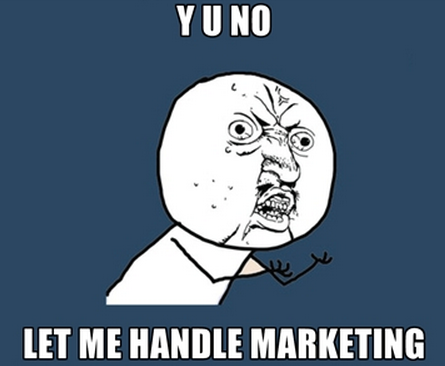 As a marketer, when we take on a client, we take the responsibility of that business. Not only the future success of the business but of all the people involved with it (No pressure right?). Did the marketing company deliver the results that were promised and expected? As a marketing company we must show results in order to retain clients and maintain customer satisfaction. Whether you are web based or not, when a business is investing money and time on marketing to grow their brand, their success will reflect upon your work. If they stay in business you stay in business, simple. The client is happy and will refer your services to others with regards to how great the marketing was handled. A client will angrily go and rant on Yelp about all the lies and broken promises. Smear your reputation all over the web, and we know the web is unforgiving when it comes to mistakes (again no pressure). The best way to ensure satisfaction, ROI, Client Retention, and overpass the marketing challenges is to show the client your plan before closing the deal, and to be able to deliver everything as promised. To ensure success, a company must be a well-oiled machine and have adequate business management. Testimonials – What are your clients saying about you? For a marketing company nothing helps close a deal better than word of mouth. When a business achieves results, they will be more then willing to leave a testimonial and speak highly about what you have achieved for them. However, people are lazy or don’t have the time and will not write about the marketing company unless they are asked. Don’t be afraid to ask them for the testimonial. With a lot of positive testimonials any potential client will be impressed and more than likely sign up. 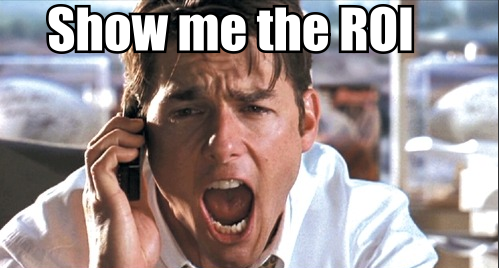 References / Referrals – Are you getting references? Are you asking for them? A friend is usually looking out for your best interest. You can trust a friend. Once a marketing company achieves success for a business they can (and should) ask for references. More then likely all of your clients have a friend who can use your service, and if you don’t ask, you may never find out if they do. Web based or non-web based businesses all want to make a profit and grow. The procedures in the client’s eyes are very similar “we spent money and we want results” which is why briefing the client prior to enrollment is so crucial. If you can deliver results as discussed, you will gain more customers and better your brand reputation. Marketing is marketing. If you are on the web, look for a niche related blog to share your business or if your doing face to face marketing go out and find a niche related event. In both cases the marketers job is to gain traffic from converting verticals. Finally no matter what type of marketing company you are, don’t bite more then you can chew! Think of what situation you would want to be in: taking on a high paying client but not bringing him results and ruining your reputation. Or keeping small clients happy while growing as a reputable company that in the future will have the time and manpower to take on the big clients. Do work that not only your clients appreciate, but also you are proud to show the world. This entry was posted in Social Media Marketing and tagged internet marketing, local businesses, marketing, online marketing, page rank by Donnie Strompf. Bookmark the permalink.